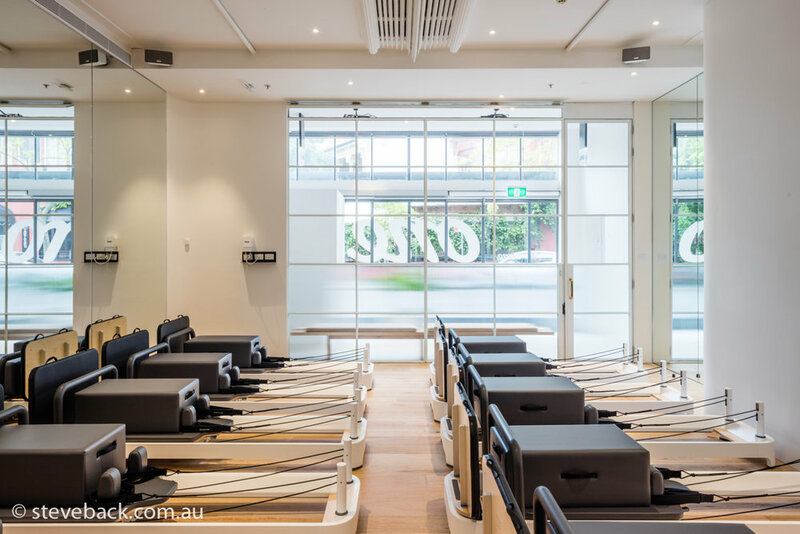 Beautiful yoga studios in Potts Point. One Hot Yoga, shot for the builders, The Building Guild. For me loving the clean white spaces with wooded and gold highlights... achieved inner peace just by shooting it..